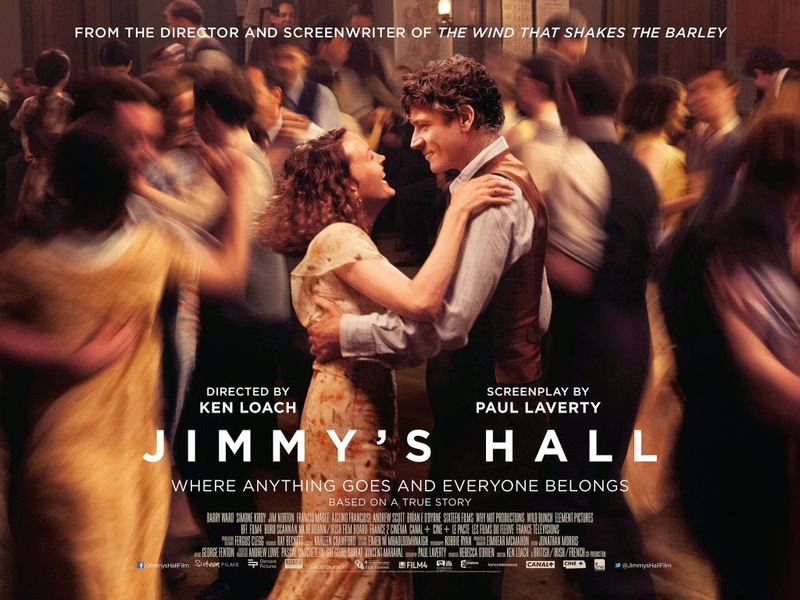 Let's hope the rumours about Ken Loach's retirement are proven untrue as it would be a tragedy for him to leave the business with the tired and forgettable Jimmy's Hall as his final feature. Set in 1932 in rural Ireland, Loach's latest follows Jimmy Gralton (Barry Ward) who returns from New York and re-opens the local community hall. However, Jimmy and friends are soon caught in the Red Scare and accused of being Communists by the increasingly violent Republicans of the town. It is near-impossible to disagree with the story that Loach tells - this follows a good-hearted man with the best intentions that is deported without trial. Despite this, Jimmy's Hall is so lethargic that it is a real struggle to actually care about the outcome. This is a feature void of both narrative tension and character depth (packed with stereotypes of quaint local people and behind the times churchmen) that ultimately relies on heavy-handed moments of external conflict to make us empathise with the flat characters. However, by the film's conclusion we know about as much as these characters as we did in the first five minutes of Jimmy's Hall - particularly central character Jimmy. This slow-paced Paul Laverty scripted feature does feature some slight moments that will warm the heart - seeing how the town is brought to life through the reopened hall is particularly sweet. There are also some interesting moments of conflict between Jimmy and the religious figures of the town Father Sheridan and Father Seamus, respectively played with fiery determination by Jim Norton and Andrew Scott who bring some life to Jimmy's Hall. However, this conflict takes a very black and white approach with Jimmy falling into the role of hero and the church serving as the sneering villains. Loach captures a real beauty in the scenery of rural Ireland, but with a lack of character depth and narrative tension it is likely that you will find your mind start to wander. There is no real conflict in Jimmy as a character, he is simply a nice man doing a nice thing - a bit like Loach's film. It's a well-intentioned tale, but it is too static and uninvolving to provoke much of a reaction.